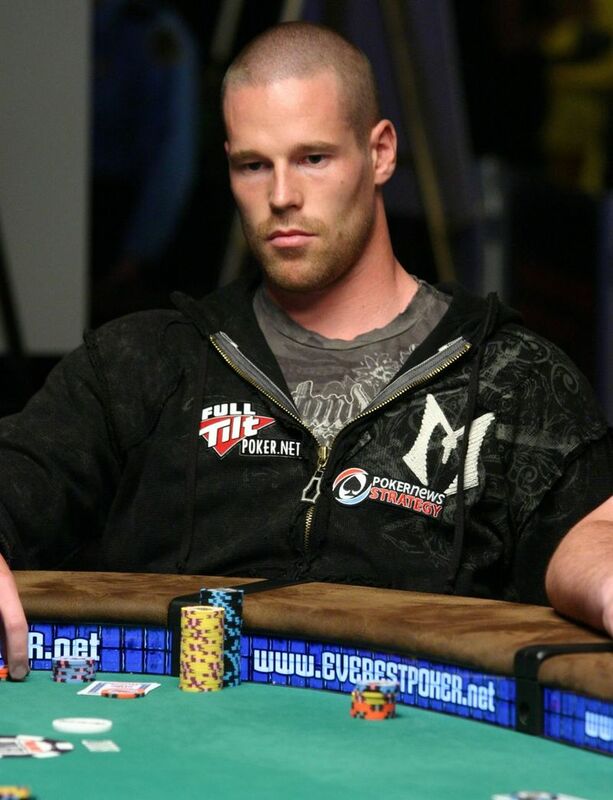 Finnish professional poker player Patrik Antonius – aka “the Brad Pitt of poker”, Luigi66369, CryMeRiver9, Finddagrind, I_knockout_U and try_hrdr_fish- was born in Helsinki the 13th of December 1980. Since he started playing professional poker his poker bankroll has grown large enough to allow him to play in all the major live tournaments, the highest cash games on Full Tilt and live in Las vegas with his wife Maya and daughter Mila. In this post I will sum up how Patrik Antonius became one of the most feared online Heads Up players and built a massive poker bankroll in the process. It was never in the cards (cheesy pun I know) for Mr. Antonius to become a professional poker player. As a kid and teenager he excelled playing tennis but a back injury at the age of 15 meant he had to quit the game for 18 months to recover. During this time – being no stranger to poker since the age of 11- he regularly played poker live games at the local tennis club. Later Patrik Antonius finished a degree from the Helsinki Business college and was on track for his first match as a professional tennis player when he suffered another back injury, which ended his tennis career altogether. [adrotate group=”6″]After pursuing careers as a male model, a tennis coach and even a door-to-door salesman, Patrick settled for the game he had played as a hobby since a kid and practiced at the local casino in Helsinki from the age of 18. in 2003, as a personal goal prior to attending college in the US, Antonius started a serious attempt to build a poker bankroll after depositing 200$ into an online poker room. In a few months the roll grew to $20,000. He moved to the United States of America to attend college and play poker. In the US he took a break from school and started playing 12 hours a day, 7 days a week and his bankroll grew to 80000$. During Antonius’ early poker pro days he was mentored by Marcel Lüske and later female pokerstar Jennifer Harman. To date, The Brad Pitt of poker has accumulated more than 2.8 million $ in live tournament winnings. A lot of these winnings came from his massive tournament heater in 2005, where he among other tournaments won the EPT event in Baden bei Wien taking down close to €290000 and later that year finished 2nd in WPT 5 Diamond World Poker Classic in Las Vegas for a whopping 1,04 million $. Antonius has yet to win a WSOP event but has made close to 800000$ in his appearances so far. His biggest WSOP cash came in a 2007 Pot Limit Omaha even where he took a third place and 311394$. Has wagered 200000$ in tennis game vs. fellow poker pro Gus Hansen. I don’t actually know if the game was ever played. Rumors have it that Patrick Antonius backed out of the bet due to his old back injury causing him problems. In 2008 Patrick Antonius became a member of the prestigious Team Full Tilt. Patrick regularly appears on the televised High stakes poker where he was involved in the biggest pot so far in the show against Sammy Farha (a pot where the Finn won a cool 749100$. Antonius has also won the largest online pot (at the time in November 2009) against the infamous Isildur1 worth close to 1.4 million $. In his spare time he likes to play golf.